I'd love a 3DS version, but I really can't see this happening. Shame. Provided the game sells well enough I'm sure portable ports will happen eventually even if it doesn't get met. Not trying to be negative here but isn't this stretching things a bit dangerously thin? I don't want to sound like a whiner, but it's little too late. They should of had the Vita/3DS goal around the Intro Stage goal. Screw the PS4 and XBOne. Most gamers that like those systems probably wouldn't like a game like this type of game anyway. That's your assumption. Its your opinion. Now that's just silly. I'm willing to bet almost everyone who owns a Vita or 3DS will end up owning either the PS4 or XB1 and possibly both by the time the game is actually released. There aren't that many handheld-exclusive gamers. Especially when it needs to be optimized and even potentially redesigned for a smaller screen size. Excuse me? I did not say anything about porting not requiring money. It's a given fact that all things need money to be produced and to get done. I do realize that. I am merely just voicing my irritation at the amount they're asking for this with such little time left. I'm not the only one who thinks this. This needs to be on Vita, forget 3DS. I have a 3DS and love it, but this would rule on the Vita. The stretch goal for that should be switched with the next gen one for sure though. Wait a minute.. 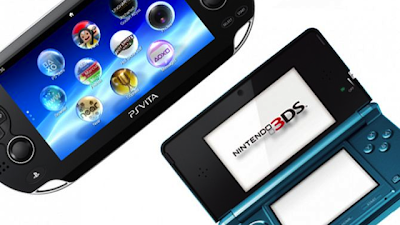 I understand that 3DS is most popular portable but PSVITA is the most popular as well ? No, 3DS is the most popular portable and best sell out there. Anyway, I doubt it will reach that goal. 3DS would be nice but that price is not enough to reach the goal anyway. I hope that I am wrong. Next goal: $10,000,000 and they will release a Beck figurine with a keychain! I'd rather have the physical copy over digital. Wish they would have a physical only option. Cause for an extra $26, I'd upped my tier. I'm already spending $60 to get the physical stuff and plus they don't even have a physical for PS3.